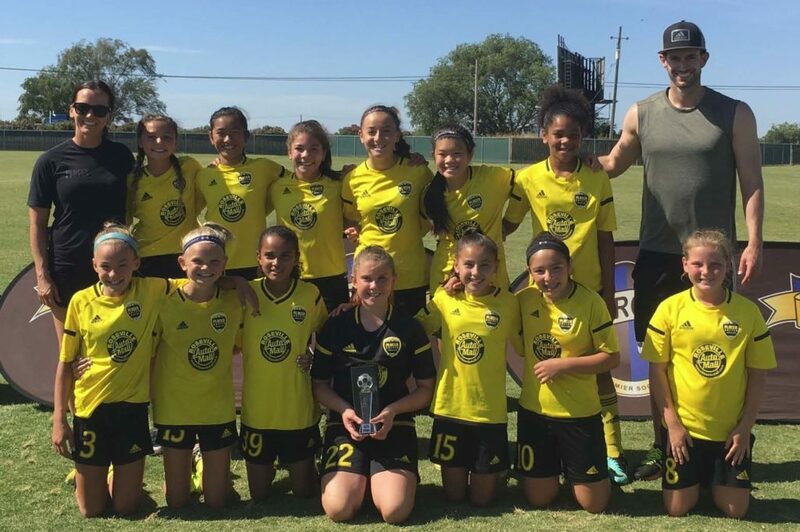 Congratulations to the Placer United 06 Girls Gold team for their second place at the NorCal Spring Regional playoffs. The girls advanced to Sunday’s final after producing some strong displays in both the quarter and semifinal rounds of the competition. The girls earned the right to play at the regional event by finishing top of their NorCal premier division. In Saturday’s quarterfinal game, they were drawn against a very good West Coast team and came out 2-0 winners. Sunday’s semifinal was a very intense game and the girls worked hard in the hot temperatures to win out 2-1 against Burlingame. This set them up to play a very good and strong PSV team in the final. The girls created a few good chances but didn’t get the break they needed and were unlucky to lose out 2-0 in the 100+ temperature Sunday afternoon. Great job girls! Go Placer!